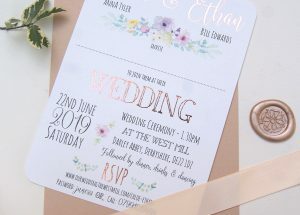 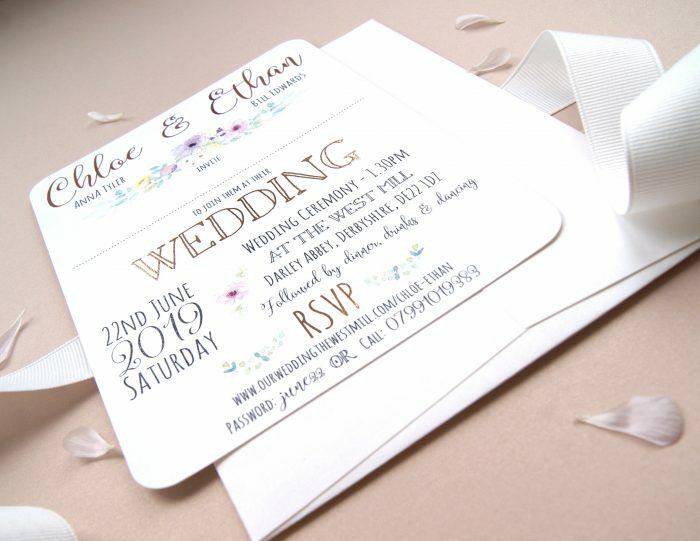 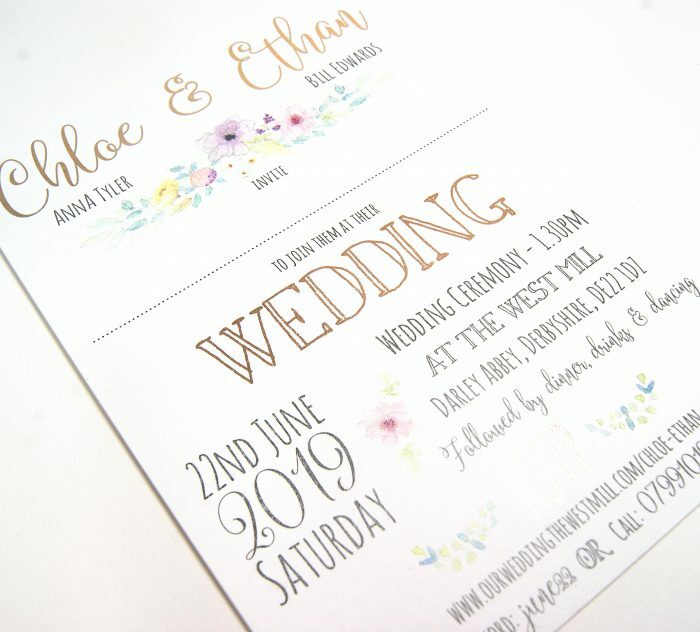 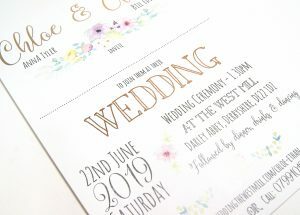 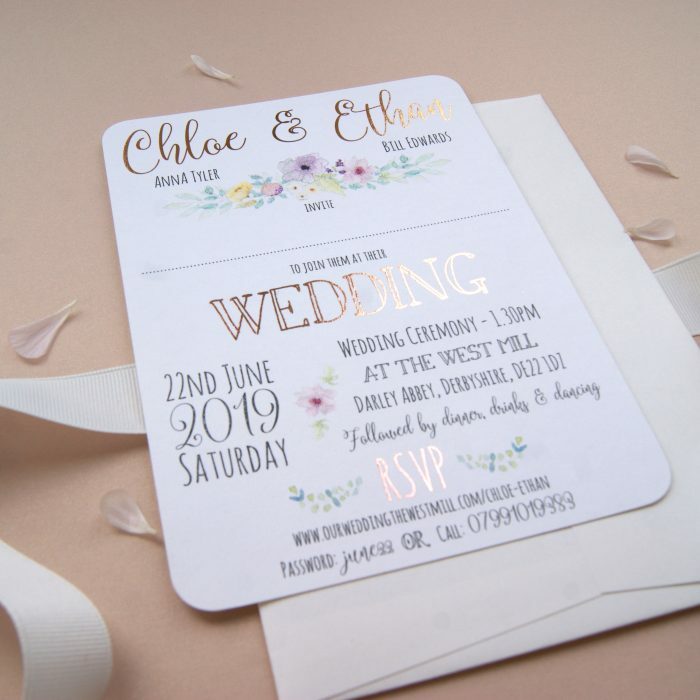 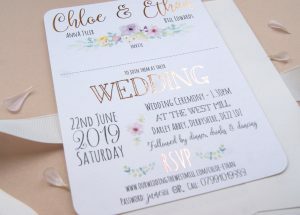 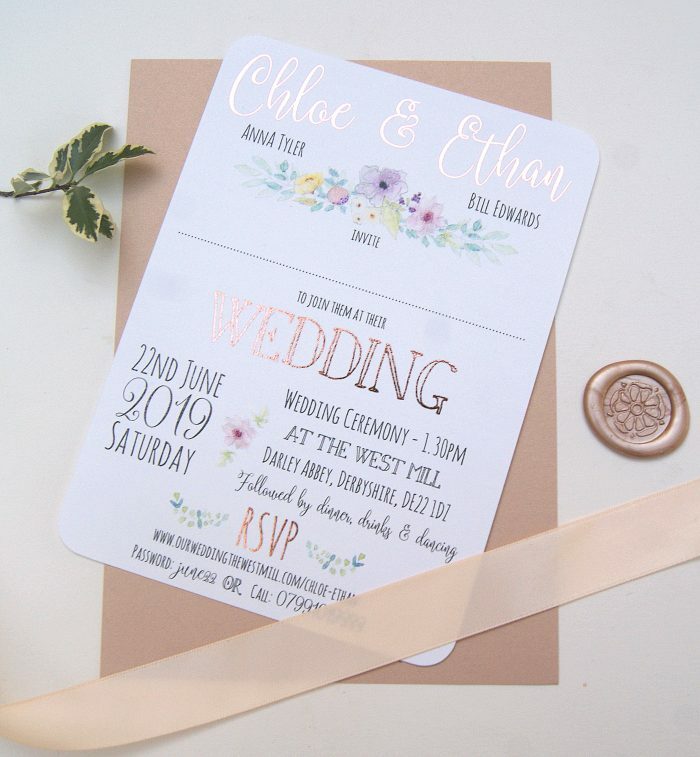 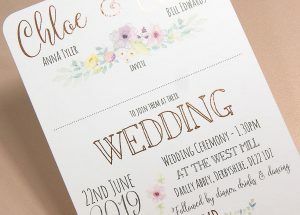 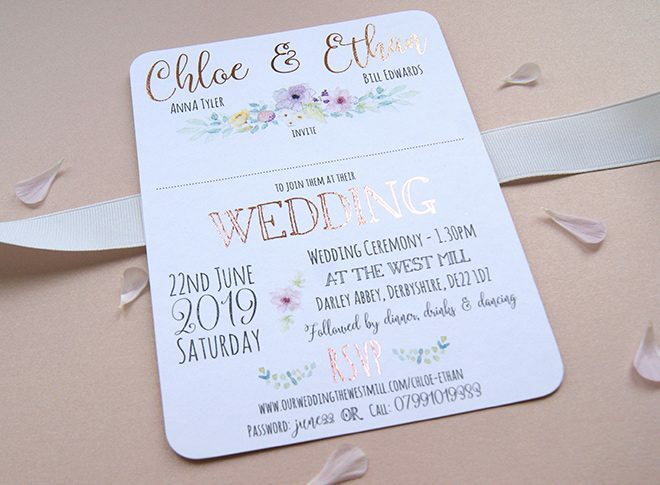 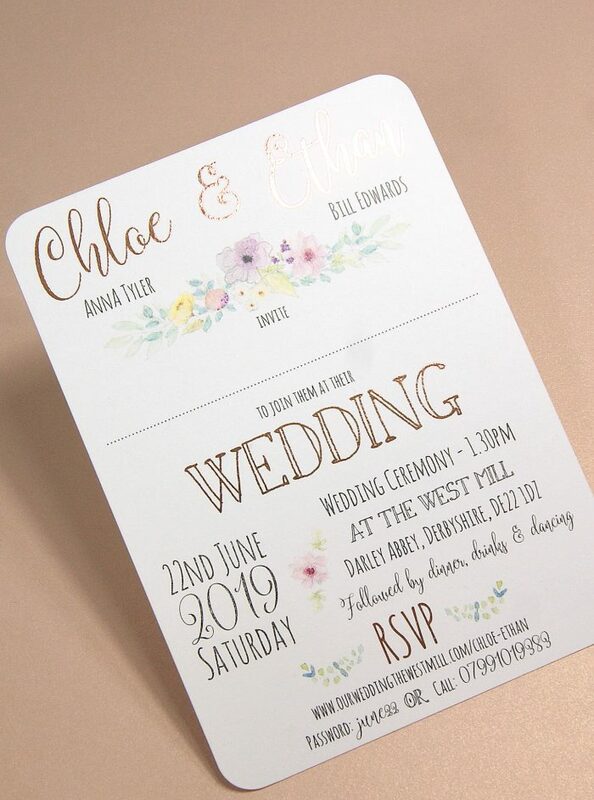 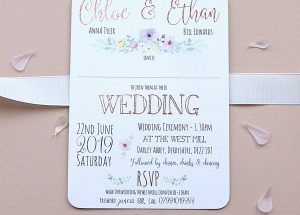 The Petal wedding invitations are contemporary in layout with a unique mix of fonts, water-colour flowers and a touch of metallic! 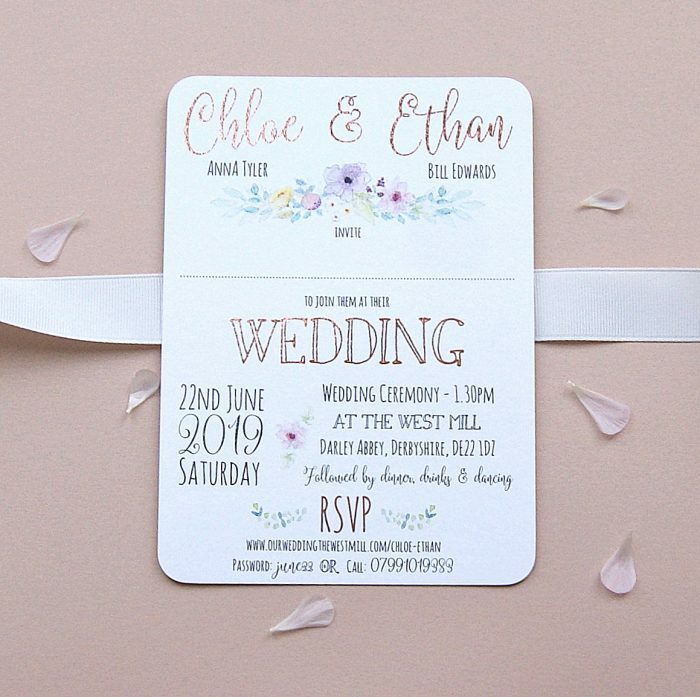 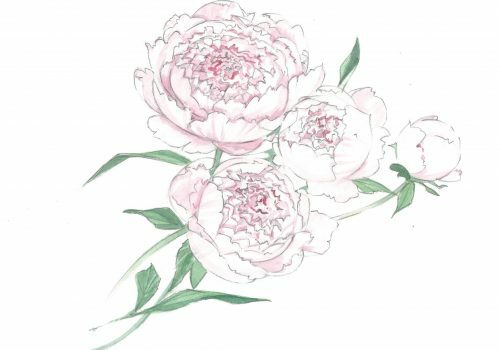 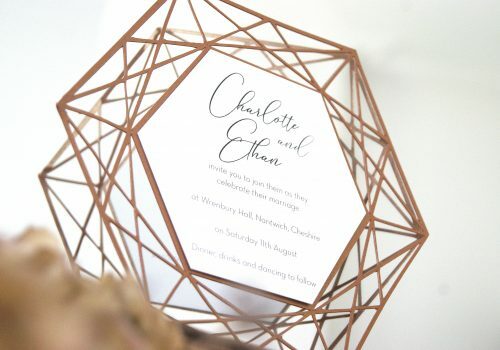 Perfect for so many wedding themes from elegant country houses to garden party, festival or rustic luxe. 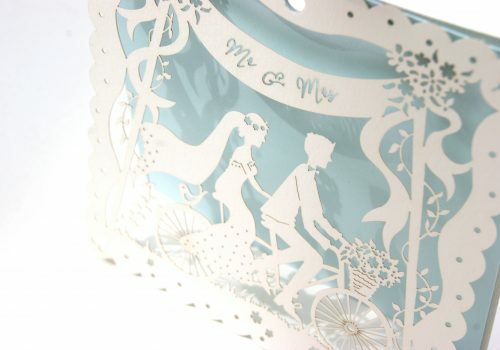 For spring and summer weddings or for those who just love flowers.